I love Easter. It is easily my favorite holiday. I love that it occurs every year in the spring when the weather begins to get warmer and things which appeared so cold and dead all winter, once again show signs of life. Spiritually, it reminds me of Jesus’s sacrifice on the cross. His triumph over death raised our hearts, which were dead in our sins, to new life in Christ when we put our faith in him alone (Eph. 2). Sharing this season with my children is a privilege and joy. Every year I look for new ways to share with my children the hope of Easter, and I wanted to share a few of those ways with you today. One tradition we have every year is to do daily Bible readings in preparation for Easter. This year we did the Life of Christ Family Reading Plan from Intoxicated on Life. This reading plan follows the life of Christ in chronological order throughout the four Gospels, and the readings are designed to be completed once a day, five days a week, from New Years through Easter. Yes, this is a long time commitment (15 weeks this year, though the reading plan has other examples for shorter time periods, depending on when Easter falls each year), but I liked that it incorporated all four gospels at once and covered everything from Christ’s birth, to his ministry and major teachings, to his death and resurrection, in chronological order. So every morning during breakfast we listen to the passage being read using our Superbook Bible App (this is a full version Bible that has a read-to-me feature so we can all listen at once without me trying to read in between bites of cereal!). If you’re looking for a shorter set of readings to do during Passion Week, Home With the Boys has a reading plan and short daily activities using the Jesus Storybook Bible. 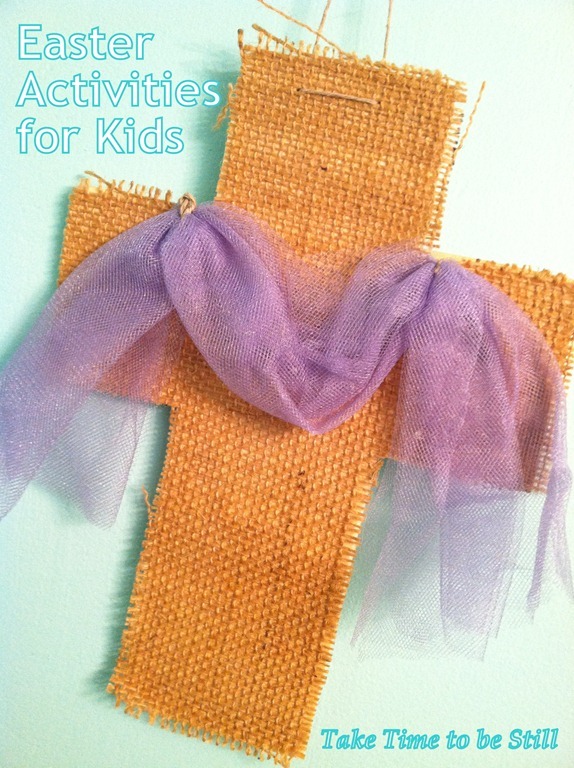 This reading plan is to be used specifically during Easter week, so it is only a week long, and I like the hands-on activities associated with this reading plan, as it helps bring the stories to life.The Jesus Storybook Bible is one of our favorite children’s Bibles because it shows how the entire Bible, Old and New Testaments, tell one story, the story of God’s plan to rescue us from the curse of sin. One of my favorite traditions that we use every year are the Resurrection Eggs. These are a set of plastic eggs with different items inside that help to tell the story of Christ’s death and resurrection. There is a pre-made kit you can buy, or you can make your own. I really like these because they give a visual, tactile experience, which is great for kids. We usually hide the eggs and then once the kids have found them all, we open each egg in order and read the corresponding scripture. Resurrection Cookies – each step in making these cookies (which are very easy for children to make) corresponds to part of the Easter story. For example, breaking the nuts into pieces reminds children that Jesus was beaten for us, the vinegar reminds us of the vinegar he was offered to drink on the cross, etc. The fun thing about these cookies is that you leave them “sealed in the tomb” (oven) overnight and when you take them out in the morning and eat them, you’ll find that the inside is now hollow (like the empty tomb). Resurrection Rolls – for these rolls, you take a marshmallow (which represents Jesus’s body) and wrap it inside a crescent roll and bake it. The marshmallow melts and “disappears,” leaving an “empty tomb.” Just be sure to seal the rolls carefully, as I had trouble with ours leaking! But they were still tasty. These are just a few ideas our family uses to celebrate the true meaning of Easter. What ideas would you add to the list?